It’s snowing here and winter is cold, so warm up with these cozy winter-themed cocktails. Blend all ingredients and enjoy by a crackling fire. Start the New Year off early with the sparkling cocktail. Fresh berries give traditional champagne a tasty twist. Pour champagne and orange juice over a few fresh raspberries in a champagne flute. 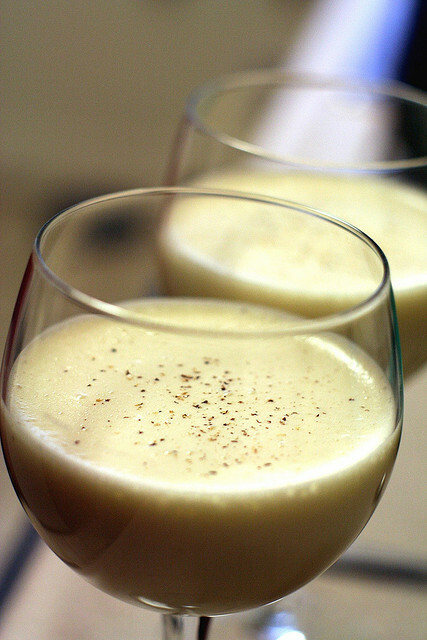 Mix warm sake with eggnog and enjoy.